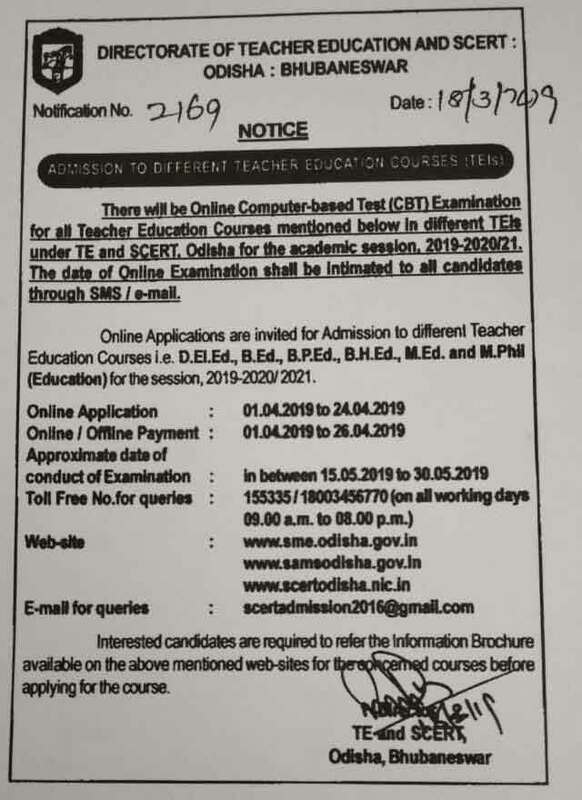 SAMS Odisha SCERT D.El.Ed (CT) B.Ed Admission 2019: Director of Teacher Education & SCERT, Odisha is released a notification of SAMS Odisha SCERT Admission 2019 Application Form for different Teachers courses like B.Ed, M.Ed, D.El Ed (CT), B.H.Ed, B.P.Ed, M.Phil, and other related courses. 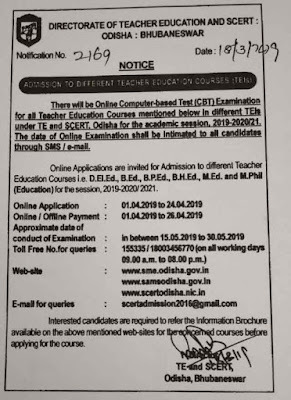 SCERT Odisha has been released a notification regarding SAMS Odisha D.El.Ed (CT) B.Ed Admission 2019 Application form and the Odisha CT online application 2019 process is going to start from 1st April 2019 to 30th April 2019. Those students who are seeking to take admission in D.El.Ed (CT), B.Ed and other SCERT courses or Odisha CT entrance 2019 they can apply online by the official website of SAMS Odisha. Eligible candidates can only apply for Odisha SCERT D.El.Ed (CT), B.Ed Admission 2019 or it will be available only online mode no other mode is available for applying for CT B.Ed 2019. Odisha CT Application Form 2019 or Odisha CT Entrance application form 2019 will be available soon on the SAMS Odisha official web portal and candidates can apply for Odisha CT Entrance exam 2019. Odisha B.Ed Application Form 2019 or Odisha B.Ed Entrance application form 2019 will be available soon on the SAMS Odisha official web portal and candidates can apply for Odisha B.EdEntrance exam 2019. The Online Common Application Form (CAF) will be available on the Student Academic Management System (SAMS), Odisha official website www.samsodisha.gov.in for apply Odisha CT B.Ed Entrance exam 2019. You can be applying online CAF for Odisha SCERT Admission 2019 courses like D.El.Ed (CT), B.Ed courses through the Internet where internet facility is available. You must have passed higher secondary or +2 or 12th Examination and equivalent. Candidates of all streams can apply for this CT Entrance exam 2019. Candidates must have 50% marks (UR candidate) in higher secondary or +2 or 12th or Diploma. Candidates who are a category of SCBC/OBC, ST, SC have to secure 45% marks for apply CT Entrance 2019. The candidates must have MIL as a subject up to HSC or equivalent education. NB- before filling the online Common Application Form Please read the Common Prospectus carefully which is available at SAMS Odisha portal. Next, click on the ”Teacher Education͛ & SCERT”. Then click “Register for Online Application͛” in the home page. Next page enters an email Id and Mobile no to register. After register, you can now login in Log in the page to fill up the application form. Fill online application or the CAF online on the computer. After completion of online application take a print out of confirmation page. 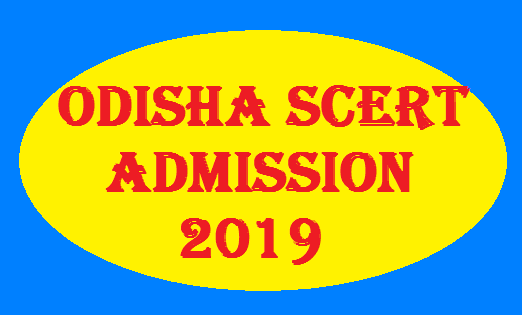 If any question regarding Odisha SCERT CT B.Ed Admission 2019 please leaves a comment below in comment box.